In our latest episode of “Get to know a law practice management software company”, we test out HoudiniEsq. HoudiniEsq offers software that helps attorneys manage their law firm practice by integrating e-mail, calendars, client files, billing, and a rolodex of clients, all into a centralized database. HoudiniEsq is available as both software that you can install on your office computer server as well as a cloud-based offering that you can access from any web browser. HoudiniEsq offers a free download and installation for solo practitioners, great for those looking for a test drive before rolling out a new piece of expensive software to your entire firm. A free trial (as I’ve said before) is a must for any law practice management software. All of the major players in the space offer one; there’s no reason they shouldn’t. If they’re not confident you’ll end up keeping their software after playing with it for 30 days, then that’s a bigger problem. 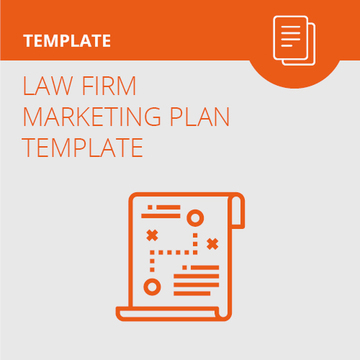 Related: Which law firm practice management software is right for you? So, there are a few hurdles to overcome. Right off the bat, I found HoudiniEsq intriguing because it touted that it could play nice with Quickbooks, MS Word and Excel, Gmail, Google Docs, Outlook, and also the U.S. Postal Service (you can track your registered mail to see when it gets delivered – awesome feature that no one else seems to have). Once I downloaded and installed HoudiniEsq to my computer, I had to wait for HoudiniEsq to send me a license before I could use the software. And waited several hours total. Anyway, finally, I get in. Here we go – time to test the software. The first impression isn’t as great as HoudiniEsq’s competitors. I have no idea where to go off the bat. So, I see that I can add a matter. Nope. It makes me go back and create a new client first, and then I can create a matter. Like its competitors, HoudiniEsq integrates with Microsoft Word, allowing you to build forms from template documents. If you use a particular document type regularly, you can edit the document so that HoudiniEsq can fill the document with your client information where specified. This way, you don’t have to manually change the template each time you want to use the document with a new client. HoudiniEsq also easily syncs with Google Calendar, Google Docs, Quickbooks, and Evernote. Its ability to seamlessly sync with these programs is definitely one of the biggest draws to HoudiniEsq. Another great feature of HoudiniEsq, possibly completely unique to HoudiniEsq (I have yet to see another law firm practice management app that does this) is that HoudiniEsq for multiple workspaces. If your browser window is filled with client memos and documents, you can use another workspace for a different client matter and not be distracted by the other matter’s documents. HoudiniEsq is free for a solo practitioner installing the software on a server, laptop, or desktop computer. You can’t beat free. However, setting up the software can be time-consuming and difficult if you are unfamiliar with computer networking. For multiple users of the on-premises installed (not cloud-based) service, you will pay $1,280 per 10 users for the one-time license fee (or $7,992 for the license fee for up to 50). Also, you will pay $192 per year per user ($16 per month). For the cloud-based service, HoudiniEsq charges users $64 per user per month with no license fee. No user-friendly walkthrough: The biggest complaint I have about HoudiniEsq is that they don’t seem to make the effort that HoudiniEsq’s competitors do to help you get started. While they have support videos and documentation in a lengthy database, there should be helpful hints for users in the software. No free cloud-based trial: One big drawback I found was that HoudiniEsq’s SaaS offering, the web-based HoudiniEsq product, does not have a free trial. While Clio, MyCase, RocketMatter, and all the other web-based solutions have a free web-based trial, HoudiniEsq only offers a free downloadable trial. Doing HoudiniEsq’s free trial necessitates downloading and installing a ~250MB file. Then, once downloaded, the user has to register and get a license key. At the end of the day, it took me several hours to get from the download page, through installation, until I received a license key from HoudiniEsq. I know that this would turn off many users. Suggestion to HoudiniEsq: offer a free trial of your cloud-based practice management software. You’re lagging behind there. What the heck is a local host? So, to test out HoudiniEsq, you have to install it HoudiniEsq on your computer. But, because HoudiniEsq is meant to be installed onto a server, accessible by the entire network, it is a bit of a process if you know nothing about networking. For the typical attorney user (who is not a master of computer networking), this is very cumbersome and a big hurdle to clear. No mobile app: While not critical, HoudiniEsq’s competitors have mobile apps, so it should too. HoudiniEsq provides a service that integrates well with third-party software. It also has a unique multiple-workspace layout that allows users to have several separate workspaces on the same screen. However, HoudiniEsq’s law practice management software isn’t the most user-friendly or intuitive compared to the other services available. We have made some improvements like a walk through for beginners based on your review. We do realize that our interface with its multiple windows and workspaces feels cluttered and unfriendly. This too has been improved with our up coming HTML5 interface so thank you for actually using the product before writing a review. 99% of tech reviewers simply call the software company, ask a few questions and publish whatever is said without really trying the product themselves. Thank you for taking the time to actually kick the tires. This means more to us then you know. We acknowledge that our product is a better fit for corporate in-house counsel and large organizations but we would like to change that. In your opinion, what is the most important thing we are missing besides our antiquated interface. Since 80% of lawyers are solo, making the on-site single-user login simpler would be the key (IMO) to garnering a massive user base. And an explanation of ONE (only one) super detailed way of creating a server for this single-user using only the newest version of a Mac Mini OSX (also explaining how to make it auto-login the user when it shuts down for any reason – power failure) and a specific router – e.g. most current from Netgear (R6300) which uses the latest wi-fi standards. Once you switch to HTML5, that should eliminate problems in remote locations where a computer does not have the latest Flash version and therefore may experience problems displaying Houdini. I have not been to a courthouse recently which had up-to-date Flash. Thanks for the review! In my special case, I´m looking for an on premise solution for a small government agency (10 users), who need to keep track of their legal cases. What other options did you found that we could install in a web server? Your suggestions would be greatly appreciated! In addition to HoudiniESQ, I recommend checking out PC Law by LexisNexis for server-based software. Though currently I have not tried out PC Law, I have heard good things from other attorneys. Update: I’ve also tried out PCLaw. It’s decent. I’ve been reading over a lot of your articles reviewing the differing software programs. Not one of the programs are sticking out to me. They all seem to be fairly mediocre. We have a mid sized office with 4 attorneys and 4 paralegals. We are looking to slowly grow. We are most interested in the program having optimal billing and practice management features with the ability to email and sort by clients and file types within the system. Do you have any recommendations? I have spent about 3 hours trying to install Houdini, even trying a second computer, with no luck. Not sure I will spend more time, and may just move on to another service. Houdini may act like the HTML5 version fixes everything for those of is that don’t have an IT person, but that answer alone exemplifies the problem. I don’t know how HTML5 makes a difference or even know what it really is. Speak to and help your customers in English or don’t market to non-IT folks. I had never heard of this software so thanks for the review. Free is good, but one usually gets what one pays for. One of my many concerns is this; with the cloud based providers, what happens to the firm and client data if one wants to terminate the relationship? I am coming end of license with a provider and take some comfort that better than ten years of data at this point is all on hardware I own. I like HoudiniESQ. I’d recommend trying it out. 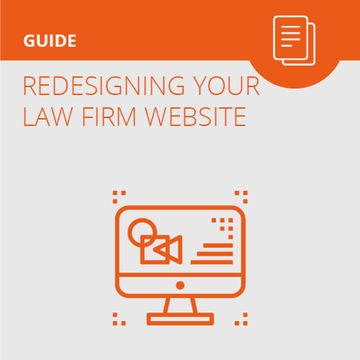 Though you’re hesitant about “getting what you pay for”, for solo attorneys, it’s a great option with a lot of features to help you smoothly run your practice. Regarding your firm’s data – All cloud-based software providers that I’m aware of allow users to export your data into a file format (usually .csv) that can be often easily imported into other systems. Over the years lawyers switch their law practice management software for a variety of reasons. Some companies go bust or merge with others, and some attorneys just change their software providers. Data exporting is a necessary feature for all LPM software. I’ve yet to hear of a practice management software company that holds customer’s data hostage, preventing them from changing services. Often with cloud software you can routinely back up your data locally if you are concerned. I would be more concerned though about having 10 years worth of data on a single machine, provided you don’t have any additional backups. Is this software still around to try and test? I requested a license days ago but never received one. Calling the company just takes you to their voice mail and they do not respond to emails. License requests can take up to 24 hours to receive, as we experience high volume of requests particularly around holiday times. Additionally, check your spam and junk mail folders for the license file as it can sometimes be directed there. We are aware currently of an issue with domains that are owned by Microsoft (live.com, msn.com and hotmail.com) bouncing our emails and are working to resolve the issue. Our apologies if you emailed us from one of these domains and did not receive a response. Please call our support line direct at 919-238-7024 if you have any additional questions.